“Today’s the day the teddy bears have their picnic” Favourite teddies get to be cuddled through tears, play, sickness and sleep by children all over the world. My eldest son started school this year and I found it so cute that heaps of the preps had their teddies tucked into their school bags so if they needed a cuddle their faithful friend wasn’t far away. Teddy bear picnics are a great celebration of childhood – so I’ve channelled my inner child to bring you these ideas for your next party. 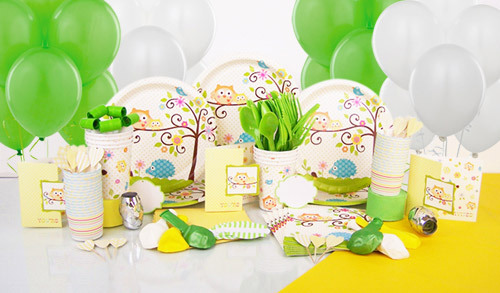 The beauty of a teddy bear picnic is that any theme party supplies can go with it. Animals, fairies, owls or beetles… whatever you like! Specify on the invite that the party is a teddy bear picnic and ask your guests to bring along their favourite teddy bear. Just for fun, when the guests arrive, get them to put name stickers on their teddies. Create a time when the children can introduce their teddies to one another and share who they got their teddy from. A teddy bear picnic is traditionally meant to be hosted in the woods. But if you live anywhere in our sunburnt country the woods aren’t particularly accessible. So, bring the woods to you instead. Get some plain paper (your local butcher might let you have some) and tape the paper to cover a wall (I’d suggest outside if at all possible). Get the kids to create their own wood scene with crayons/ paint or craft supplies. Lots of tree trunks and leaves as well as rocks and flowers on the ground will be perfect. What would a teddy bear picnic party be without some teddy bear biscuits? For some fun, buy the plain biscuits and get the kids to decorate them with coloured icing and lollies. It’s a very sticky, messy activity but who doesn’t love creating sweet treats and then eating them with friends! Teddy bears make me think of honey... honey joys, ANZAC biscuits and banana skewers dipped in honey and coconut. I also think fresh cut up apples and cold milk being perfect for a picnic. Banana and honey milkshakes would definitely go down a treat! To get in theme, you can use black face paint (or your eye liner) and paint their little noses like a bear nose. Then of course, you’ve got to play pin the nose or honey pot on the teddy bear. In the original teddy bear picnic song, the teddies are playing ‘hide and seek as long as they please’… so see if your guests would like to do the same. Set clear boundaries of where kids can hide so you don’t lose one of them!